Zebulon Pike and the Blue Mountain (55 min.) Director, Writer, Producer, Cinematographer and Editor. Tamarack Productions Inc. Starring Chad Stevens as Zebulon Pike. Winner: CINE Golden Eagle Award (my second such award) Washington, D.C. and the Certificate of Commendation from the American Association for State and Local History (the national professional association of museums, museum directors and historians) Oakland, CA. 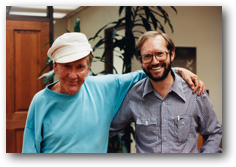 Narrated by Burgess Meredith, music by members of the Denver Symphony Orchestra. 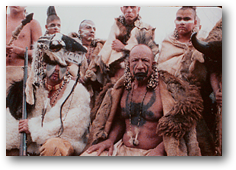 DVD release 2006. Shown on Rocky Mountain PBS. 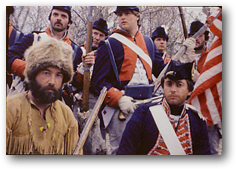 A good film based upon Pike’s own journals about a little known, often misunderstood expedition which almost proved disastrous for the least appreciated explorer in American history, Zebulon Pike. When I was growing up in Colorado my family camped (and I photographed) over much of the state so I knew most of the back roads, passes, valleys and mountains. My parents loved camping in the backcountry of Colorado and so do I as you can see from my photographs. Seemingly everywhere we traveled, there was a reference to the early American explorer Zebulon Pike. 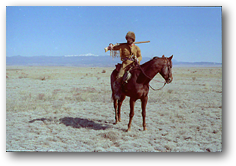 When I began making films and after spending the better part of two years in the smokey Victorian interiors which we used for Damon Runyon’s Pueblo, I thought a recreation of Pike’s Arkansas expedition through Colorado might make an interesting subject. Little did I know how difficult and expensive an undertaking it would be. Everything had to be researched and recreated from scratch. Even the uniforms (some of which are destined for the Smithsonian Institution) had to be constructed from bits and pieces of patterns as the original patterns were destroyed when the British burned Washington during the War of 1812. 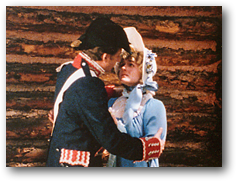 This great historic uniform recreation from ancient pattern bits was done by Carol Cartmell who also worked with me later on Curse of the Blue Lights. 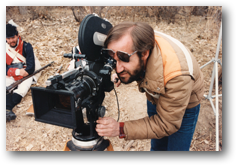 While all the involved accessories and camp equipment (both Indian and Pike’s group) were ably handled by my Art director Joe Pachak who had also did great work on the Runyon film. 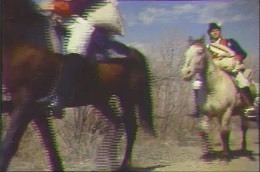 Made in 1984, this period (1806-07) dramatized documentary follows Zebulon Pike and his men through what was this country’s first expedition through the Southwestern United States, particularly their time in Colorado’s seemingly endless mountain ranges, prairies and high valleys. Filming in Rocky Mountain blizzards was some of the hardest filming I’ve ever been involved with, it was hard on everyone, people and horses. Zebulon Pike and the Blue Mountain was painstakingly created with help from experts on: Pike (W. Eugene Hollon, author of “The Lost Pathfinder”), the military of the period (James Kochan, U.S. Army Historian for the period 1783 to 1830), Indian tribes and the era (the Smithsonian and the National Archives) and masterfully narrated by Burgess Meredith. 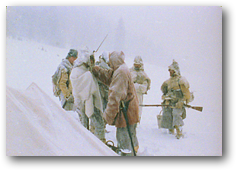 The National Association for State and Local History appreciated the film’s extremely accurate presentation of the troop’s arduous expedition through the Colorado Rockies in terrible blizzards with the resultant human hardships. To download a pdf file of original Pike brochure (which was single sheet, printed on both sides and folded twice in opposite directions), click here. To download a pdf file of the original Pike sales mailer, click here. To go to the Zebulon Pike and the Blue Mountain film website: zebulonpike.net.